The Porirua People’s Library is a collaborative storytelling and skill-sharing project, presenting Porirua people’s stories and perspectives in new, thoughtful and creative ways. Follow the latest news from Porirua Peoples Library on facebook. How could the city be described, transcribed, unlocked, decoded and re-presented by those who live here? Porirua’s youth – a city 50 years young – and geographic proximity (and cultural distance) to Wellington offer fresh possibilities for discovery. What’s really happening in Porirua now? What does the city really look like? What does it sound like? Who is here and what goes on? What are their hopes, dreams, wishes, problems and desires? 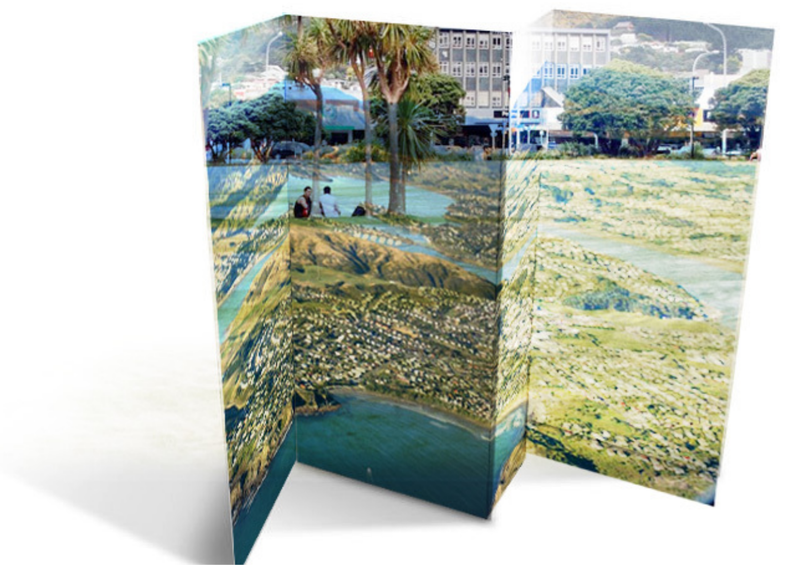 How would Porirua like to be remembered? What might Porirua’s true colours, feelings, textures, sights, sounds and letters to the world look like? The Porirua People’s Library wish to collaborate with people in Porirua – especially young people and settlermigrant communities – and welcome diverse voices not immediately visible or typically heard.We wish to support local storytellers from diverse backgrounds by hosting a series of community-based, ‘slow-media’ workshops and story- generating activities. By sharing our know-how in art, design,writing, drawing, photography, film, and audio recordings to offer form to these stories,we will build and launch a unique text, image and sound archive,made by the people and for the people of Porirua and the world. The project is led by Kerry Ann Lee with contributions including from artists Lana Lopesi, Faith Wilson, Andrew Matautia and Moses Viliamu. Kerry Ann Lee is an artist, educator and zine-maker from Wellington. As an artist of third-generation Chinese decent, Lee’s work both at home and overseas has explored urban settlement and culture clash occurring in the space between private moments and public locations. With a background in graphic arts, she creates installation, print and image-based works that are expressive and socially engaged. Lee’s artwork meditates on themes of home, dis/location and difference, playfully investigating issues of identity and hybrid cultural formations through a variety of media. Lana Lopesi is writer and social practitioner who graduated from Elam School of Fine Art in 2013. Both her writing and art practices are firmly based in Pacific communities using social and collaborative strategies to engage with audiences. Recently she completed a project in collaboration Ioana Gordon-Smith for the Whau Arts Festival, Auckland called Localise. Localise involved the production of a daily newspaper for a week which explored both how communities can respond to the form of a newspaper while also bringing up wider conversations about Community based practice. Faith Wilson is a writer and sometimes performance artist /collaborator / cultural critic. She graduated from the International School of Modern Letters with an MA in Creative Writing last year, and continues to write politically conscious poetry that focusses on her identity as a Samoan/Palagi mix growing up in Aotearoa.